Seven-time Wimbledon champion Serena Williams has been seeded 25th for this year's tournament as she returns to the sport after giving birth to a baby daughter in September. Ending weeks of debate, the All England Club that organizes the British Grand Slam tournament decided to amend the rules and seed her, instead of following the ranking list that doesn't take into account players’ taking a break for maternity leave. Williams, the most successful tennis player in history who was ranked No. 1 when she took her maternity leave, is ranked 183rd in the world after returning to the tour in March. Williams has a 9-month-old daughter Alexis with husband Alexis Ohanian. 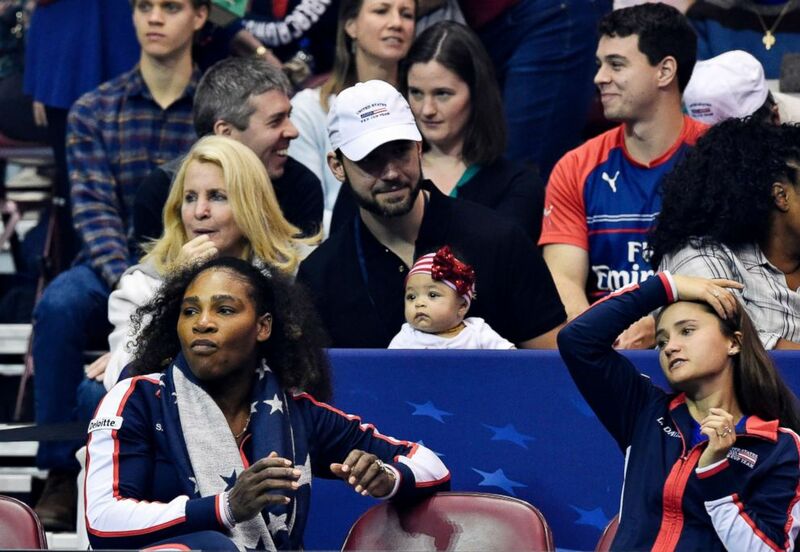 Serena Williams, bottom left, along with her husband Alexis Ohanian and their daughter Alexis Olympia, center, watch the action during the first round of the 2018 Fed Cup at US Cellular Center, Feb. 10, 2018, in Asheville, N.C.
Williams, 36, told “Good Morning America” previously that it has been “interesting” to watch the world of tennis adjust its rules for new moms. 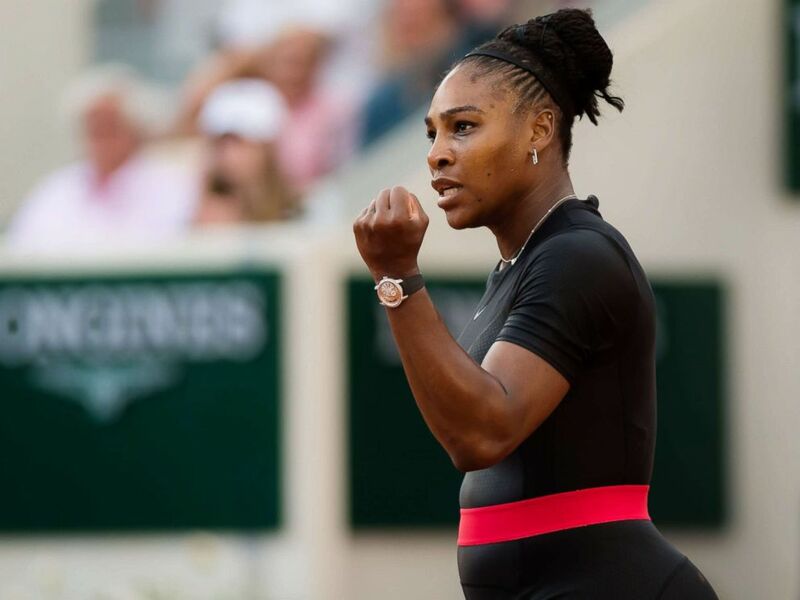 Serena Williams during her third-round match at the French Open tennis tournament, Roland Garros, Paris, June 2, 2018. Katrina Adams, the U.S. Tennis Association’s president, agrees. Players should not be “penalized” for starting a family, she recently told The New York Times. Williams has an ally in John McEnroe, the legendary U.S. tennis player and three-time Wimbledon champion, who now sits on the tournament’s seedings committee. To him, it’s a straightforward decision. 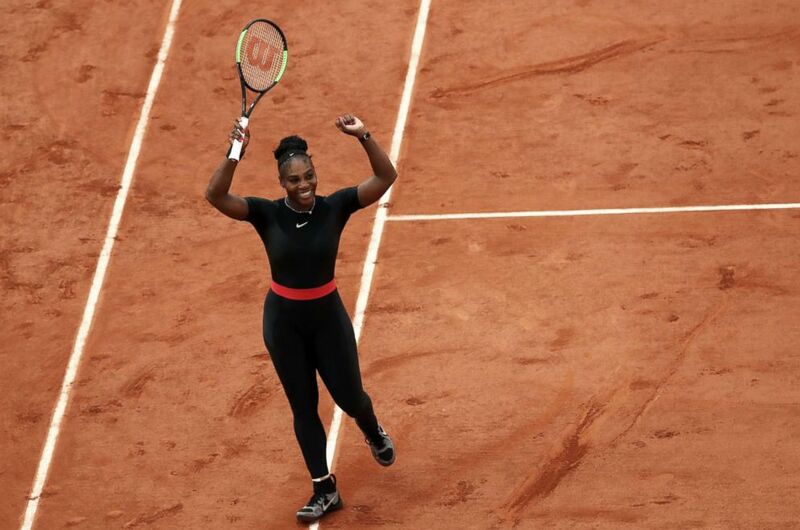 Serena Williams celebrates victory during the ladies singles third round match against Julia Georges of Germany during day seven of the 2018 French Open at Roland Garros, June 2, 2018, in Paris. Australian Open champion Caroline Wozniacki said she totally supports Williams. 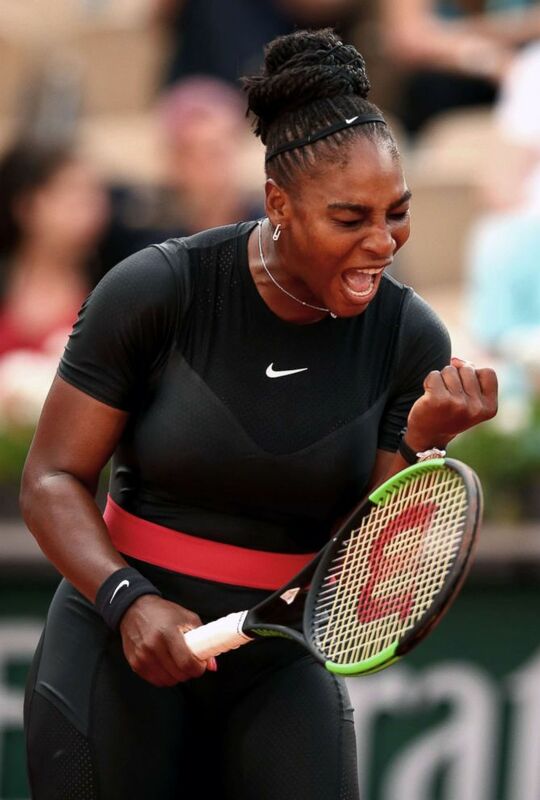 Serena Williams celebrates during the ladies singles third round match against Julia Georges of Germany during day seven of the 2018 French Open at Roland Garros, June 2, 2018, in Paris. Williams played unseeded at the French Open in May, eventually pulling out of the Grand Slam in the fourth-round because of an injury. Wimbledon runs from July 2 to 15.